Heavens to Mergatroyd: You go Mrs. Naugatuck! So I mentioned a humor piece on the New Yorker on the Spinster Agenda a few days ago and one of the items on the agenda was said to be Glynis Johns in her “Mary Poppins” costume on the hundred-dollar bill. Now I love that character and wrote about her in this blog a few years ago. I was looking at the image in the spinster blog post and noticed the woman in maid attire standing next to Glynis Johns and I wondered "whatever happened to Mrs. Naugatuck"? Mrs. Naugatuck portrayed the second maid of Maude (Bea Arthur) on the TV show "Maude" and that was my introduction to Hermione Baddeley. So it turns out Baddeley had quite a film career before American TV. And an interesting personal life and an interesting intersection of the two. When she was in her mid-40s she was in a relationship with Laurence Harvey, an actor 22 years her junior. He proposed marriage to her but she turned him down because of the age difference. 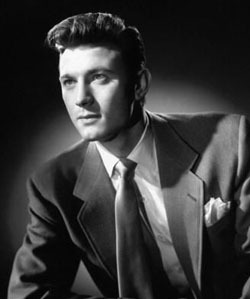 His then married Margaret Leighton who was only six years older than Harvey, and after they divorced Harvey married Joan Perry, who was seventeen years older than him. But his last marriage was to a woman 13 years younger. So he wasn't only attracted to older women, but he certainly had no problem with older women. He also appears to have been bisexual. Someone recommended that I watch a movie that Harvey starred in, "Room at the Top" which just so happens to be on Youtube in its entirety for free. 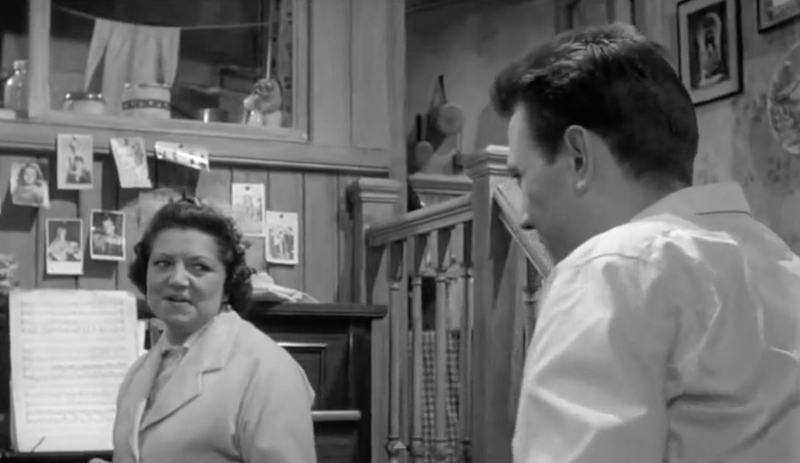 In the movie his character Joe is involved with an unhappily married woman 10-years older played by Simone Signoret (who was 7 years older than Harvey) but it ends badly. During the affair they use an apartment of the women's friend who is played by Hermione Baddely. This was made in 1959, so eight years after they broke up. I must have seen Harvey in one of his movies but I don't remember him. He was certainly well-known in his time, although he died at only 45 in 1973, so maybe that's why I wasn't aware of him. Apparently Kim Novak disliked him but Elizabeth Taylor loved him. Baddeley and Laurence in "Room at the Top"
She's just delivered the line: "you're the sort of man I like."